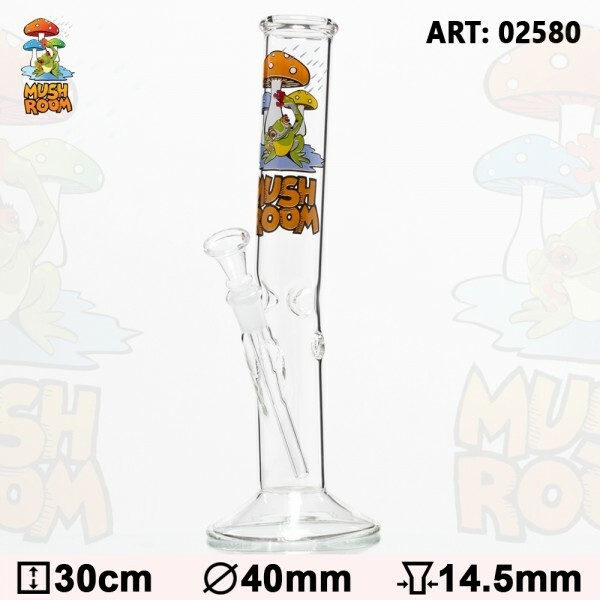 This Hangover Mushroom with Frog Glass Bong is a fine piece of glass art that will offer you an excellent smoking experience. It is formed in the shape of a hollow base tube. It comes with a socket of 18.8mm diameter, connecting to a bowl, for placing your herb or tobacco. It includes also some ice noches that will hold some cubes for refreshing your smoke and a kick hole at the height of the socket that will offer you an alternative toke angle. The Mushroom With Frog logo features at the top of the tube, which ends up in a cosy mouthpiece ring.